If you’re a subscriber to the Review of Australian Fiction you may already have received this week’s issue, which features stories by me and Rebecca Giggs; if not, copies are available for $2.99 on Booki.sh. I’ve been meaning to write something about the Review for a while, because it’s a fantastic project on a whole range of levels. The brainchild of Hobart-based writer and editor Matthew Lamb and his Brisbane-based associate, Phil Crowley, it publishes two stories a fortnight, the first by an established writer, the second by an emerging writer nominated by the established writer, with stories published in digital-only form on the Booki.sh platform. Thus far the Review has published an amazing collection of stories by a fantastic selection of writers, with previous issues featuring work by Georgia Blain, Christos Tsiolkas, Kalinda Ashton, P.M Newton, Kim Wilkins and Susan Johnson, to name just a few. The story I’ve got in the new issue is a slightly Science-Fictional thing called ‘Visitors’, about a woman involved with one of a community of botanical aliens. It’s short and intense and a bit off-kilter and I rather like it. It also pairs nicely with Rebecca’s story, ‘The Nocturnals’, which is about a couple grieving for the loss of their son and stargazing. I’m delighted to be part of the growing family of writers who have contributed to the Review. It’s a great project and a real reminder of just what how much creative use of digital publishing models can achieve. 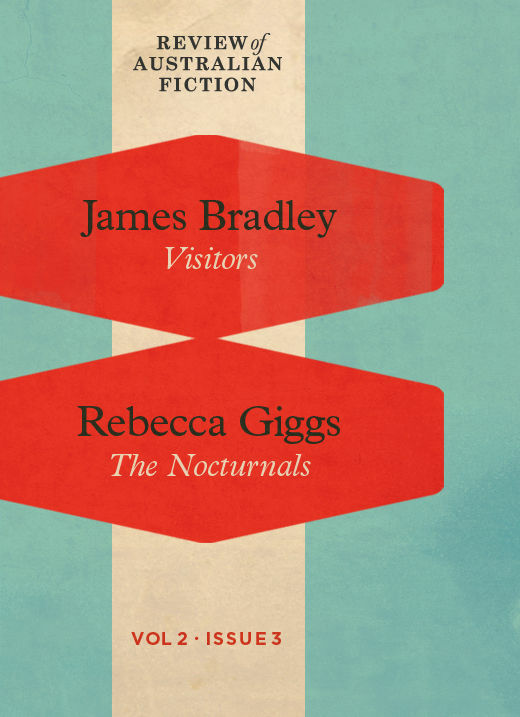 I’m also delighted to have played some part in helping to bring Rebecca’s work to a wider audience: I’ve mentioned her before, and some of you may have seen her work in Meanjin or Overland or Best Australian Stories 2011, but I think she’s quite something, and I suspect once you’ve read ‘The Nocturnals’ you will as well. If you’d like to grab the latest issue of the Review it’s available for $2.99 on Booki.sh (a cross-platform, multi-device, DRM-free and cloud-based e-reader system supported by a number of Australian independent bookshops (it’s good, and very worth taking a look at)). You can also buy back issues for $2.99 or subscribe to Volume 2 for $12.99 (the first 30 new subscribers also receive a free Text Classic). And while you’re here, you should very free to check out my novelette, ‘Beauty’s Sister’, which was published last week as part of Penguin’s new Shorts program, and is available for Kindle, iBooks, Google Play and Kobo. And if you missed it, you can read my zombies in suburbia story, ‘The Inconvenient Dead’, for free at Overland.